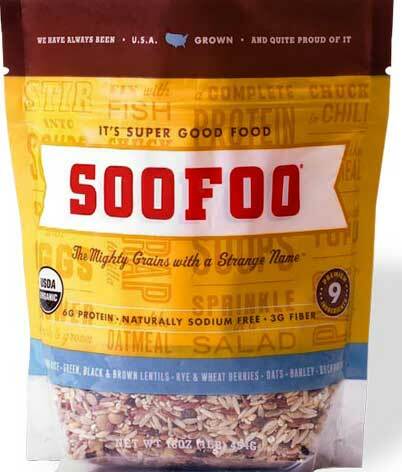 Prepare the SooFoo as directed on the back of package using 1 cup SooFoo, 2 cups water, 1/2 teaspoon salt and 1 tablespoon of oil. This should take about an hour in a rice cooker. In a Dutch oven or large pot, heat the oil to medium. Add onions and peppers and saute for about 5 minutes. Add the garlic and cumin and saute for another 3 minutes, then stir in the chili powder, carrots, tomato sauce, broth and honey. Cover and let simmer for about 15 minutes. Add the cooked SooFoo and stir well. Add pepper to taste. Cover and simmer for another 10 minutes or until ready to eat. I like adding a little honey to bring out the natural sweetness of the tomato sauce, but feel free to leave it out.